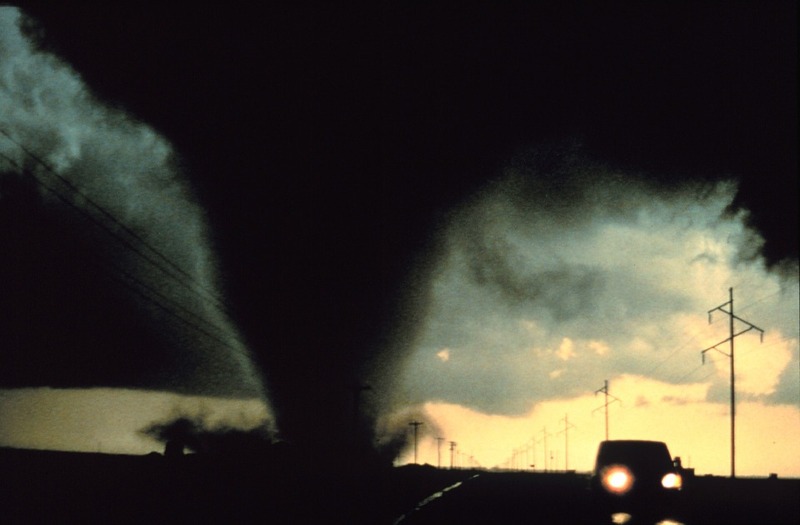 Generally, tornado season is considered to be between March and June. However, that can vary depending on where you live. Regardless of the time of year, you need to be prepared, and that involves being able to tell when a tornado is going to develop. The green comes from sunlight reflecting off hail stones, which typically accompany tornadoes and the storms that precede them. However, the sky may also appear incredibly dark even if it is the middle of the day. Either way, you should seek cover. This can be tricky sign to spot on your own. 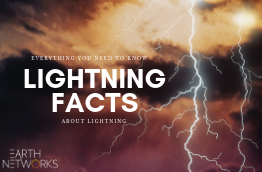 Due to the fact that the lightning remains within the clouds and never touches the ground, many people are unaware of it until a funnel-shaped cloud actually forms. However, spotting lightning becomes a lot simpler when you have a Dangerous Thunderstorm Alert. 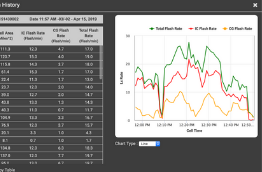 With a DTA, you will get a detailed alert of when lightning is forming in full force. 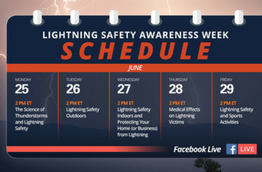 In addition to tornadoes, lightning can signal other types of dangerous weather are on the horizon. Tornadoes often come after a thunderstorm. A common occurrence is for a storm to take place and then the sky appears calm and clear. Do not be fooled by this event. It could merely indicate a tornado is about to take shape. This is one of the more obvious signs a tornado is about to come. You will see a rotating cloud in the shape of a funnel slowly making its way toward the earth. Even if you are far away, you should be able to see it rotating and not simply gliding along. A funnel cloud officially qualifies as a tornado once the base actually touches the ground. As the tornado is coming down, you should hear a loud, persistent roar. It is going to sound a lot like a freight train moving past your building. If there are not any train tracks near you, then you need to take action. Tornadoes are known to pick up objects and hurl them miles away. Be mindful if you see items, even small ones, begin to fall from the sky. This may not indicate the tornado is near you, but you should get to cover all the same. Many times, watches and warnings are used interchangeably when it comes to tornadoes. However, each one means something different, so if you are getting your information from a local news station, then it is paramount you know what each one means. A watch is less severe than a warning. When a tornado watch has been issued, it simply means that current weather conditions are favorable to the development of a twister. Many times, a watch will be issued even though the tornado itself has not formed yet. Watches do not mean you have to evacuate your home or business, but you should keep an eye on the news in case any updates unfold. On the other hand, a tornado warning means that the twister has begun to take shape. Either someone has spotted the tornado build up or a thunderstorm has gotten so severe that a twister is imminent. When news stations start referencing a warning, it means you need to take cover as soon as possible. While you can consult with professional weather station to see if a tornado is forming near you, it is important to be aware of your surroundings just in case the television or radio goes out. Make sure your business is ready for tornadoes, and call Earth Networks at 301-250-4000 to learn more. Very Informative and I’m familiar with the the green sky and the continuous lightning. I didn’t know about the calm after the storm part.